Our goal is to connect people with the best local experts. 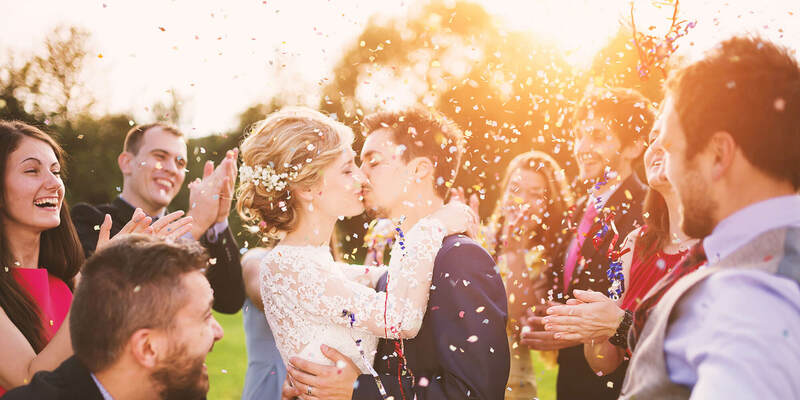 We scored wedding photographers on more than 25 variables across five categories, and analysed the results to give you a hand-picked list of the best wedding photographers in Frederick, MD. A Personal Touch Photography is a special events photographer focusing on births, weddings, graduations, and anniversaries in Frederick County, Maryland. With an emphasis on personal relationships with clients, the staff is capable of accommodating a variety of budget needs as well as the aesthetic interests of clients. Creating edited photographs intended to evoke enjoyable memories of the event being photographed is a specialty of A Personal Touch Photography. Recognized for their work, the business served as the official photographer of the 2017 Great Frederick Fair. Clients commend the patience and professionalism of photographer, Kitty, as well as the accommodations available based on personal preference. Amanda Summers Photography provides award winning photography services in Frederick, Maryland and surrounding areas within a thirty-mile radius. The company offers both wedding photography and portrait packages. Their motto is “Vibrant, Cheerful, Passionate”. Customers praise the warm and friendly feeling Amanda Summers brings to her work and her ability to make people feel relaxed and genuine. She is also known for her patience with small children and the high artistic quality of her finished shots. Her goal as a photographer is to help people celebrate the changes in their lives by photographing the same family again and again at different points in time. Anna Kerns Photography has been capturing the joy and warmth of the love clients share at their celebratory events in the Maryland, D.C., and surrounding areas since its establishment in 2008. Anna’s method of preparing her clients for their wedding day--from the time they become engaged to the actual day of the wedding--allows them to see the beautiful development of their love in candid moments set against gorgeous historical and natural backdrops. The photographs captured by Anna are sure to ignite joy and passion in all observers who witness them, from family members to strangers. It is Anna’s goal to bring her clients end products that bring forth a sense of life, clear emotion, and images that are prime examples of high-quality photography. Creative Touch Photos, LLC provides a full range of photography services to clients in Damascus and the surrounding areas. Owner Carolina Soto is a young photographer who started her own business at the age of 19. She started photographing families, seniors, and newborns and then expanded to covering engagements and weddings. Carolina also now offers maternity sessions, headshots, and sports (non-action) photography. Carolina uses natural elements like sunlight, clouds, and water to highlight the details of the images that she captures. She provides a variety of session packages to meet the client’s requirements and budget. The Creative Touch Photos website features an online gallery to give potential clients clear examples of Carolina’s art style and recent works. In business since 2005, Eden's Cove Photography specializes in weddings and family photo sessions and serves clients in and around Adamstown, Maryland. Lead photographer and owner Sarah Achten focuses on creatively and candidly capturing the story of weddings, mitzvahs, family reunions, and other special events. Sarah is also skilled in portrait photography and offers parents-to-be sessions (maternity); engagement portraits; children, infants and senior portraits; boudoir; and family portraits, including pets. Other services offered include sports team photo sessions; headshots with Qual cards; and specialty still shots of jewelry, food, performances, magazines, and home improvement/contracting projects. Eden's Cove Photography also designs and prints holiday cards, announcements, and invitations. Since 2005, Lee Thompson Photography has provided clients in Frederick, MD, and throughout the surrounding nearby communities with full-service portraiture options. The owner and company namesake, Lee Thompson, uses a traditional approach and style while specializing in weddings, engagements, and bar and bat mitzvahs, as well as holding sessions for graduating high school seniors and group family photos. He strives to make customers who feel uncomfortable in front of a camera to let their guard down and build confidence in how they look in pictures through the way he captures them. A member of multiple professional organizations, Lee Thompson belongs to the Professional Photographers of America and is certified by the selective Professional Photographic Certification Commission. Pearly Kate Photography is a wedding photography studio that is based out of Frederick, Maryland. They specialize in romantic photography in outdoor locations that make use of natural light. Pearly Kate Photography can accommodate requests for posed portraits and works well with large families. They offer a range of wedding packages that include engagement sessions, two photographers, an online gallery, and wedding albums. Pearly Kate Photography alsos offers custom collections to their clients. They may be able to travel for destination weddings and request that clients contact them well in advance of their wedding date. Pearly Kate Photography has received positive customer reviews for their helpful staff and for the quality of their images. Sarah Burns Photography creates simple, eloquent engagement and wedding portraits that consistently exceed client expectations. The exceptionally talented, Frederick-area photographic artist specializes in capturing the unique essence and personality of couples celebrating their wedding day. Clients can expect the dedicated professional to capture once-in-a-lifetime memories in a special, unforgettable way. Sara Burns Photography shoots in many styles on the photographic spectrum that appeals to a range of tastes, styles, and needs. She delivers a collection of timeless images that encompass candid, photojournalistic, and traditionally composed shots with the greatest attention to detail. Sara Burns Photography has an excellent reputation for creative artistry that never produces stiff or overly posed portraits. Client couples can trust the experience, expertise, and vision of Sara Burns Photography to deliver priceless photos families can cherish for generations to come. Spence Photographics is a wedding and event photography studio in Frederick, MD. The head photographer, Dave Spence, has an approachable yet unique style that strives to capture all the expected and unexpected moments that make up a wedding day. Former clients are positive about Spence’s professionalism and talent behind the camera, making special mention of his ability to work with and make the best of small imperfections such as bad weather. A session with Spence Photographics includes a minimum of eight hours of coverage on the wedding day, as well as a complementary engagement photo session with portraits and candid shots of the happy couple.